If you would like to order quantities of 20, please see our separate product here. High quality strung tags made from 100% recycled material with reinforced eyelets for extra strength and durability. Already Threaded with white String. 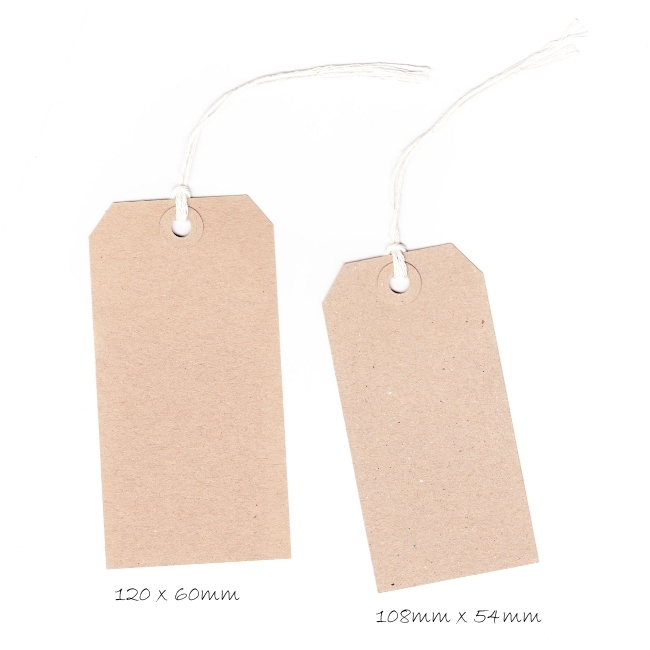 These are similar in style to the luggage tags you'll find sold by East of India for £2.50 for 6! Colour - Buff. Size 108 x 54mm. Available in quantities of 20, 50 and 100.